Horizontal anchorage system CAPILANO. it is an anchorage device for personal protective equipment against a fall from a height. It is intended to be used by 1,2 or persons at the same time. Optionally the system can be reconfigured for up to 5 users. 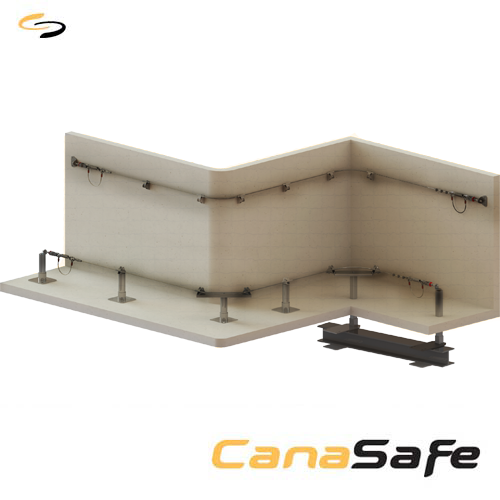 The system is composed of a horizontal guide which is made of stainless steel rope of diameter 8mm and equipped with an absorber and rope stretcher.